In response to feedback from our customers, we continuously make updates to improve our platform. We've recently introduced a 'welcome centre' which comes complete with a library of new demo videos and articles to help you get the most out of the nabtrade platform. 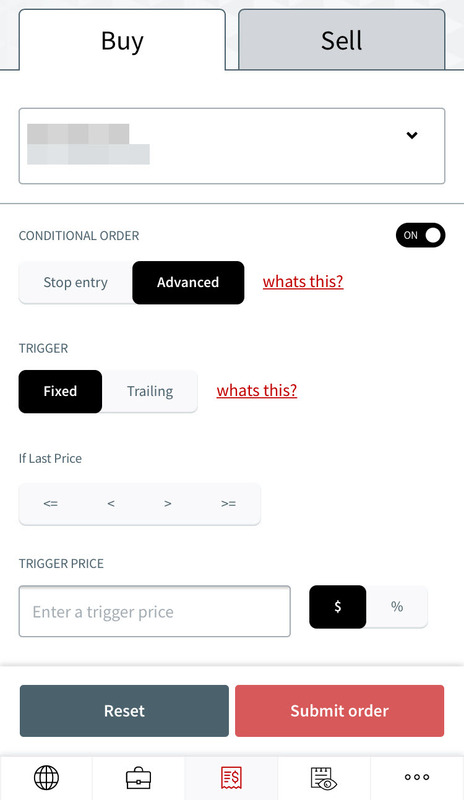 We've added conditional orders to m.nabtrade.com.au. These can be used for both domestic and international orders; and include Stop Entry, Stop Loss and Take Profit conditional order types. International conditional orders are not subject to ‘Day Only’ restrictions, and therefore the conditional order can remain open for multiple days. This prevents you from having to re-enter an actual order if it expires. 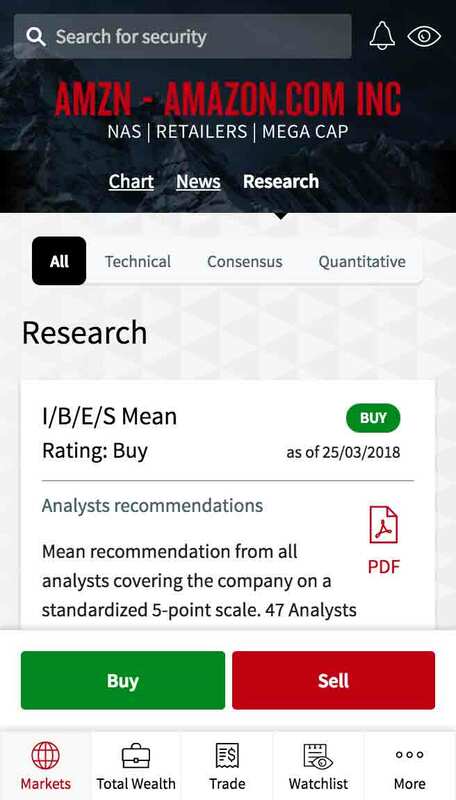 We've introduced Technical research, with Trading Central now included at m.nabtrade.com.au. International research is also available across all research categories – Technical, Consensus and Quantitative. 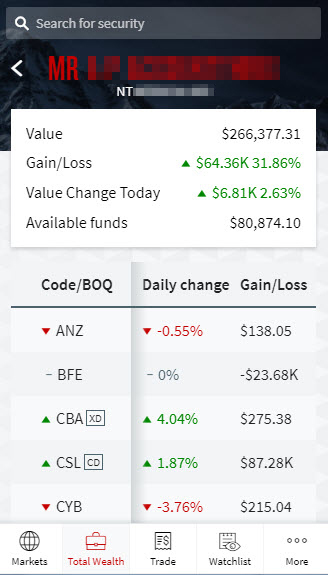 Our m.nabtrade.com.au Holdings page now provides daily gain/loss indicators, as well as the daily change for portfolios. We’ve removed the minimum balance Cash Account to High Interest Account sweeps. When setting up your sweep via the Cash Management menu, the “Minimum balance to be retained” value entered can be as little as $0.00. You can now set your daily Pay Anyone cash transfer limit up to a maximum of $20,000. Visit your nabtrade Cash Account landing page and select the “Manage Daily Pay Anyone Limit” to adjust your transfer amount. New 'Market Depth Histogram' widget - view a visual representation of supply and demand for a selected security. Select a security and compare the Bid and Ask data using either a non-cumulative Bar, or cumulative Linear Chart. Market Depth - you can now see the total traded Volume and Value for the selected security. This is displayed in the top of the Last 20 Trades section of the widget. Market Activity - add the Volume and Value fields to your Market Activity widget. Based on feedback, we’re updating nabtrade alerts and will be introducing new alert types over the next 12 months.